The Elastic and Inelastic collision simulation will help to analyse the collision variations for different situations. Demonstration of collision behaviour for elastic and inelastic type. Variation of collision behavior in elastic and inelastic type. Study of variation of Momentum, Kinetic energy, Velocity of collision of the objects and the Center of Mass with different velocity and mass. 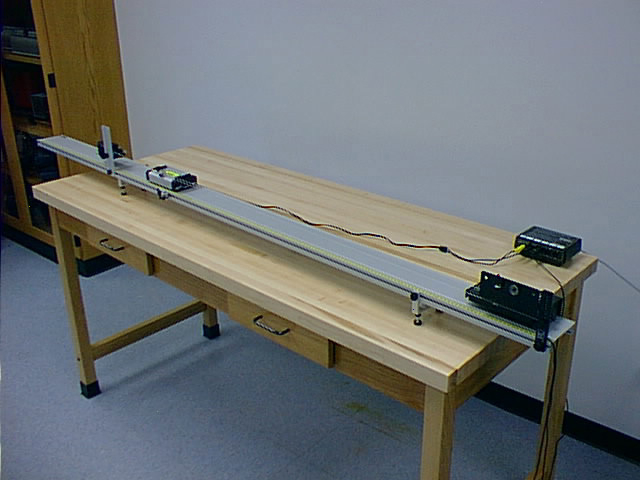 Calculation of the Momentum, Kinetic energy, and Velocity after collision. Law of Conservation of Linear Momentum: Total linear momentum of a system of a particle is conserved if there is no external force acting on the system. i.e., Total linear momentum before collision is equal to total linear momentum after collision, if no external force acts on the system. Law of Conservation of Energy: Energy can neither be created nor destroyed. But can be converted from one form of energy into another. Elastic collision: The type of collision in which both the momentum and kinetic energy of the system are conserved is called elastic collision. The collision between subatomic particles is generally elastic. The collision between two steel or glass balls is nearly elastic. In elastic collisions, the forces involving are conservative in nature. Inelastic collision: The type of collision in which only momentum is conserved, not kinetic energy is called inelastic collision. Most of the collisions in daily life are inelastic in nature. In an elastic collision both kinetic energy and momentum are conserved. In the following equations, 1 and 2 indicate the two different objects colliding, unprimed variables indicates those before collision and primed variables indicate those after the collision, p is momentum, KE is kinetic energy, M is mass, and V is velocity. If the objects stick together after the collision the collision is a perfectly inelastic collision. In such a collision the velocities of the two objects after the collision are the same. Only momentum is conserved in the inelastic collision. These two equations give the same results as obtained for the elastic collision if e=1 and for the inelastic collision if e=0.